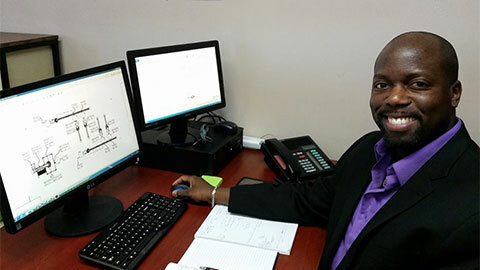 We welcome Mr. Hamsdell Jacques as Engineering Project Manager. 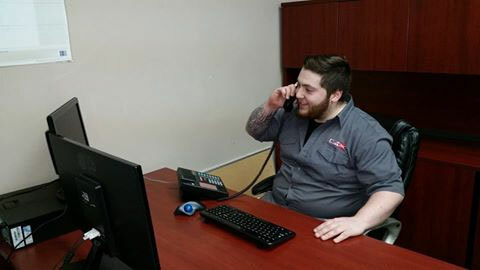 To better serve you we now can count on Martin Labelle in the parts department, should you need any help with parts for your ARTYPAC system please give Martin a call, he is at extension #23. "Introducing the new ARTYBAND LE CLUB 50’’ Made especially for shrink sleeving stacked containers. 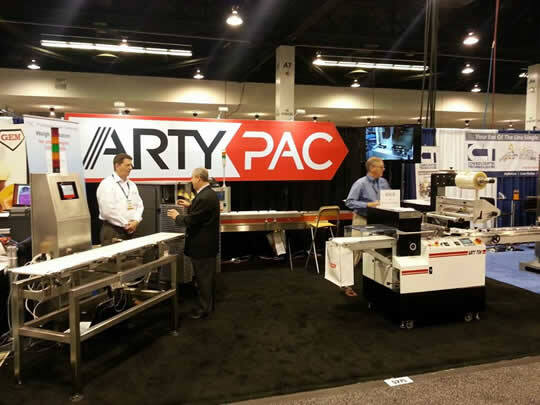 A big thank you to all the customers that came out to see us at the West Pack show in Anaheim, it was a pleasure to see you. 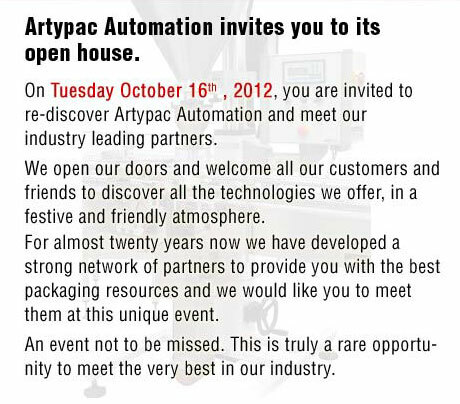 We are proud to announce the sale and delivery of the 500th ARTYPAC machine. We are celebrating this milestone with Specials on all our systems for the month of October. Call us for all the details. 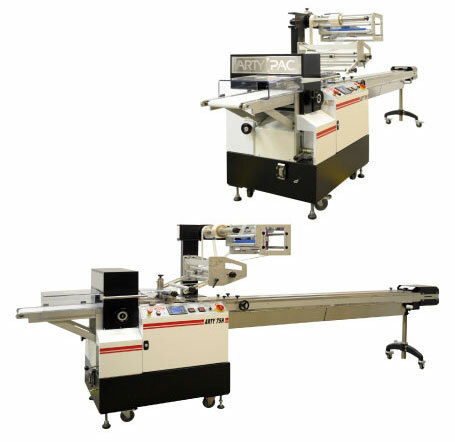 Introducing the new 2013 ARTY75H Flowrapper. We are proud to introduce our new logo. ARTYPAC AUTOMATION is proud to announce its partnership with THOMPSON SCALES Co. an industry leader in the field of in-motion check weighing. THOMPSON SCALES Co. has been supplying the North American market with high quality American made Checkweighers for over 40 years. 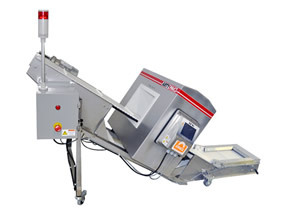 Welcome aboard Thompson Scales Co.
METAL DETECTORS from ERIEZ MAGNETICS now available from ARTYPAC AUTOMATION. 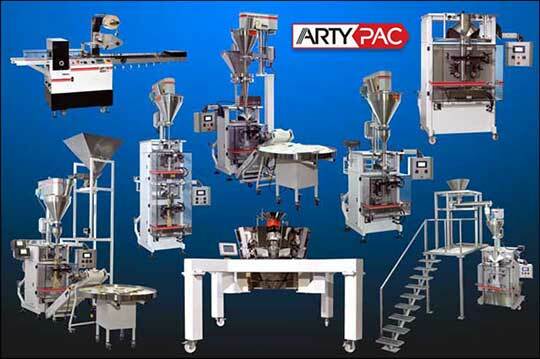 ARTYPAC AUTOMATION is proud to announce our partnership with ERIEZ MAGNETICS. After searching the market for Metal Detectors we have chosen ERIEZ METAL DETECTORS for their quality, ease of operation and reliability. 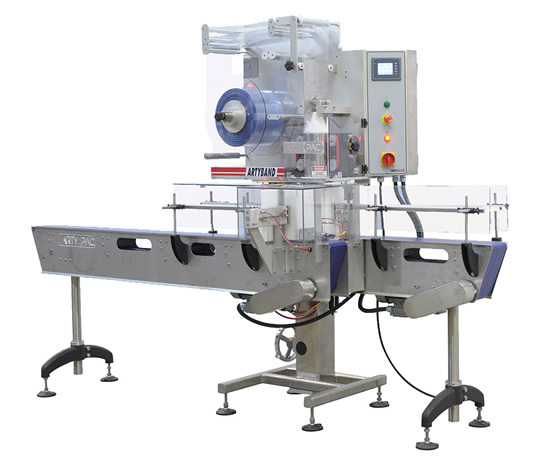 Contact us for these or other quality automated packaging systems. 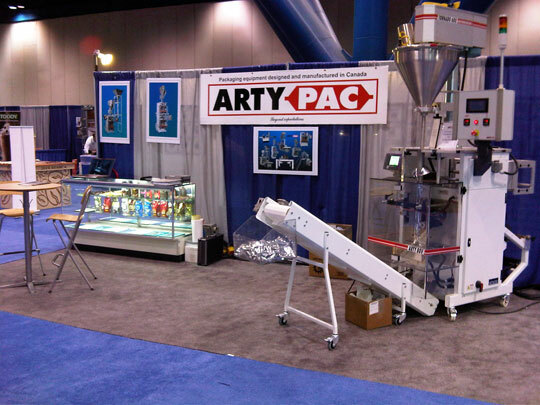 ARTYPAC wishes to thank the thousands of visitors who passed by our booth at the SCAA exposition in Huston Texas making our participation a great success.